The joy of an e-bike is that it can get you most places in a cheap, exhilarating and healthy way. If you are looking for suggestions for some really enjoyable but easygoing rides here is my selection of UK rides, based on my many years riding and researching routes throughout the country. If you fancy trying out these routes on the latest e-bikes check out this selection of 2018 models. 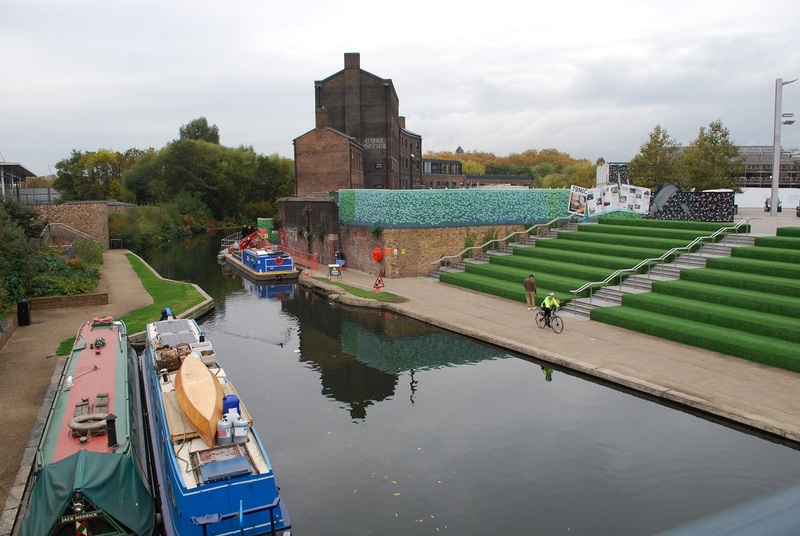 The Regent’s Canal runs past some of the finest parts of North London, including Regents Park, London Zoo, Primrose Hill, Camden, Victoria Park, Mile End Park and Limehouse Basin on the Thames. More info and a great interactive map here. A lovely former rail line, now an unsealed path, through the High Weald (Area of Outstanding Natural Beauty) between East Grinstead and Groombridge. Forest Row, Hartfield and Groombridge are the standout villages. Map here. 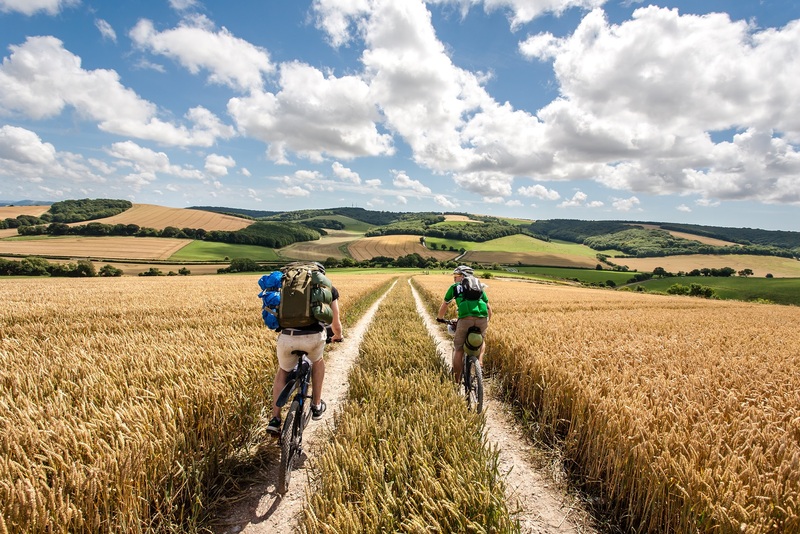 The South Downs Way National Trails runs from Winchester in Hampshire to Eastbourne in Sussex, with a small loop around Eastbourne. The majority of the path is a bridleway and so can be used by horseriders and cyclists too and passes over rolling chalk downs with fantastic views, fine villages and pubs and wonderful seascapes on the eastern section too. There is a good detailed map here. Fine riding through classic English countryside on tracks and very quiet roads. Treating attractive Pangbourne as a ‘hub’ you can ride south to explore the Kennet & Avon towpath or east via Mapledurham towards Reading. 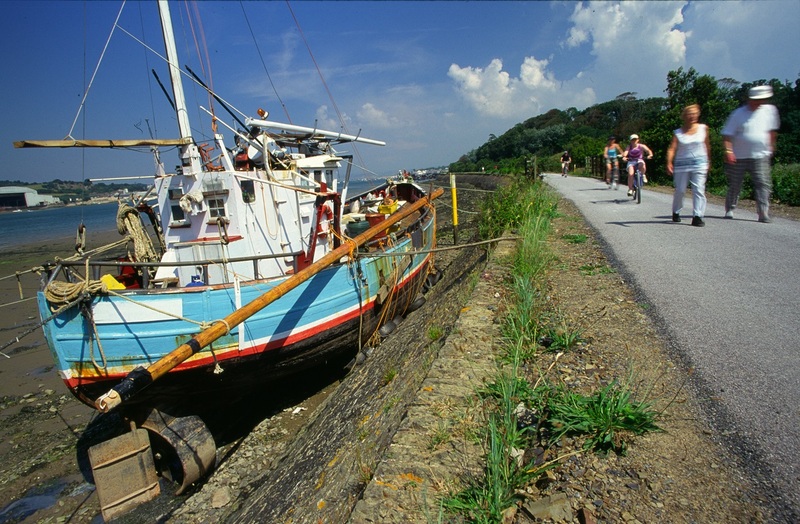 The Camel Trail claimed at one time (and may still be) the most popular recreational cycle trail in the country, with over half a million visitors annually. Some superb riding alongside estuaries and through wooded valleys. 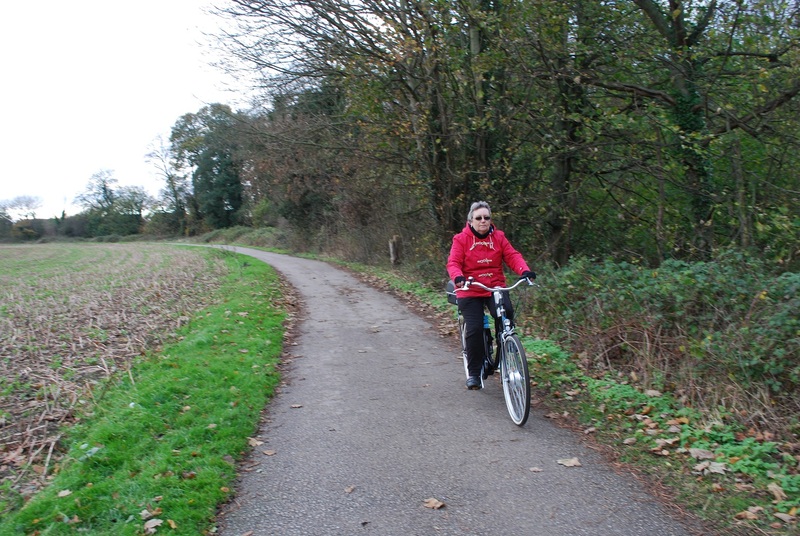 Another fantastic ride of estuary-side paths and negotiating steep-sided wooded valleys. Visit attractive Barnstaple, Bideford and Great Torrington. These tracks are based on old tramways that served the mines here and allow you to ride from one side of the Cornish peninsula to the other, linking the little old fishing port of Portreath with Devoran on a tidal creek. Map here. 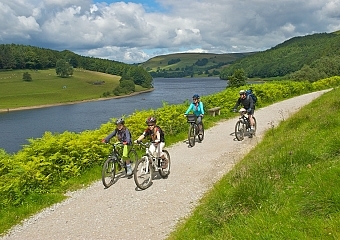 Trails for family and more advanced mountain biking and plenty of other outdoor activities too. Wonderful White Peak scenery accompanies you on an old railway designed carry milk along the spectacular River Hamps valley. There is a signed walk off the trail to prehistoric Thor’s Cave. Map here. 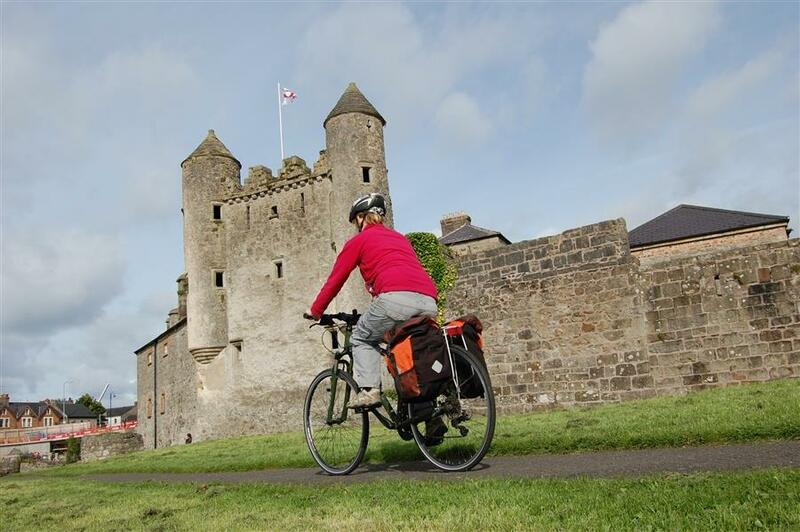 This isn’t just a chance to cycle round the biggest man made lake in western Europe on a signed traffic-free cycle route but an opportunity to visit plenty of attractive villages too. Traces the outline of Ladybower, Derwent and Howden reservoirs in spectacular Dark Peak scenery where the WWII dambusters did their training. Full details here. 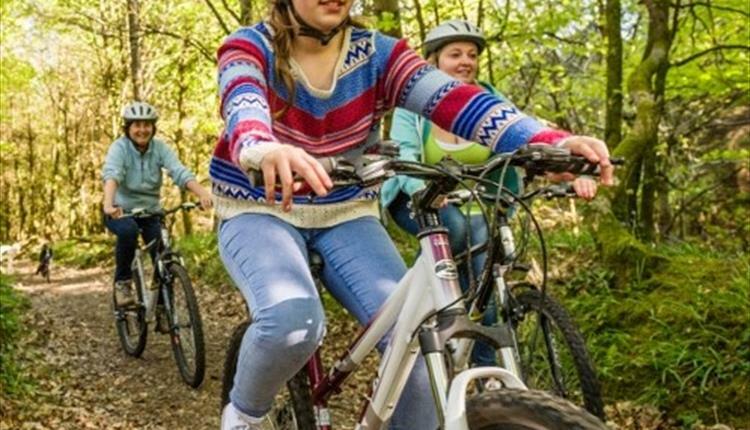 A National Trail walking route linking Thetford and Holme-next-the-Sea, most of which is open to cyclists and where it isn’t there are usually cyclists’ alternatives signed. Includes a section of Roman road, the Brecks (ancient heath and Pine forest and the sandy Norfolk coast. Map here. This is a collection of traffic-free paths and the Marine Drive toll road around the spectacular headland known as the Great Orme. 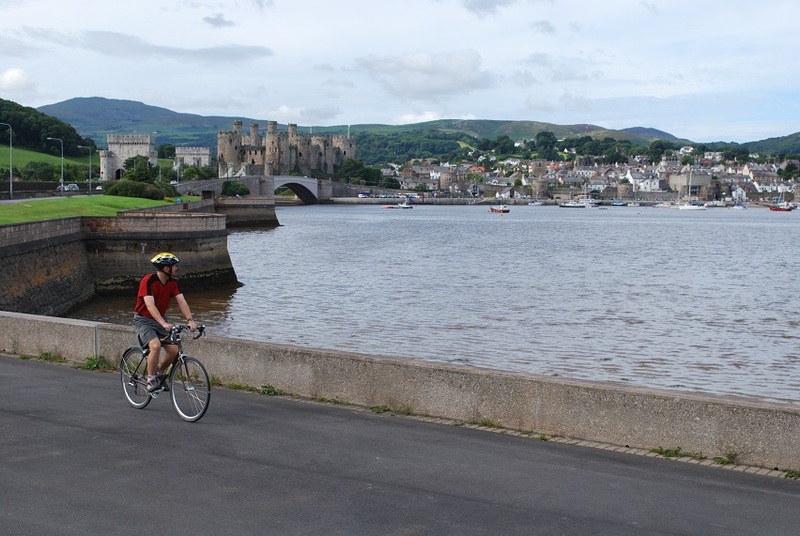 The traffic-free path along the estuary from the Great Orme to Deganwy and Llandudno Junction then gives you the chance to cross the Conwy estuary with the huge mass of Conwy castle at the other side. Map here. 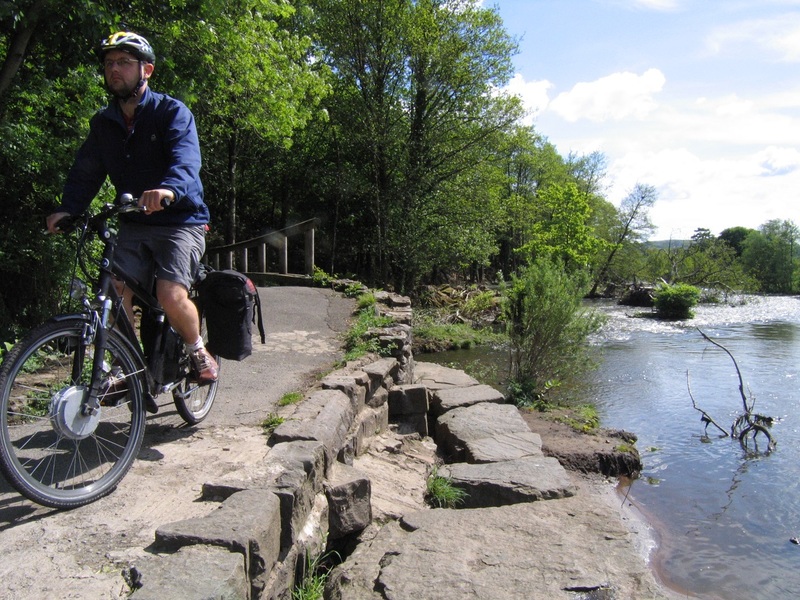 A classic trail linking the Brecon Beacons, the Welsh Valleys and the fascinating sites of Welsh capital city Cardiff. Much of it is traffic-free with the far north part using minor roads. Map here. This route actually follows part of the Taff Trail before returning to Talybont on Usk via the Brinore tramway. Map here. Visiting a handful of small, attractive Yorkshire villages and with a classic entry into York, crossing the racecourse and heading along the river Ouse to York’s magnificent medieval centre. Map here. Though this is a railpath there are some rougher stone sections so front suspension forks and wide tyres are recommended. There are also a couple of climbs. It travels along the wild Yorkshire Heritage Coast between the lovely coastal towns of Scarborough and Whitby. Map here. Malham Tarn is a well-known beauty spot in the southern Yorkshire Dales and this route explores some of the fine upland tracks over this limestone plateau. More details and map here. Families and beginners might want to try out the green and blue graded and signed trails here in the heart of the Northumberland wilds. Map and more details here. Links Lisburn, Belfast and Jordanstown, taking in views across Belfast Lough and Belfast cityscape views with the Belfast Hills as the backdrop plus the National Trust property at Minnowburn and the historic Giant’s Ring archaeological site. Map here. A fine trip along the Newry Canal towpath between Portadown and Newry. Map here. 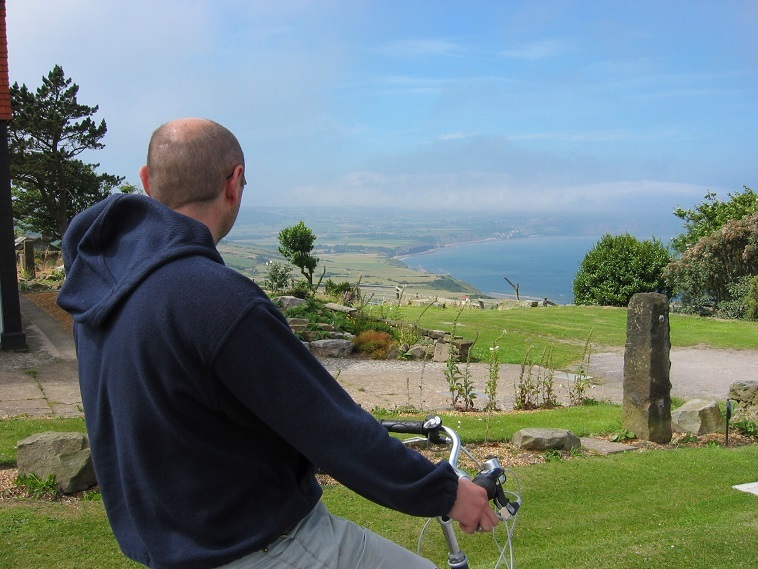 Easy family trails around this impressive National Trust property. Other attractions include the mansions own miniature canal and the Game of Thrones set. Check out Castlewellan Mountain Bike Trails. A lake, a castle and great panoramas plus a lively nearby village. What more could you want for family e-biking? More info here. 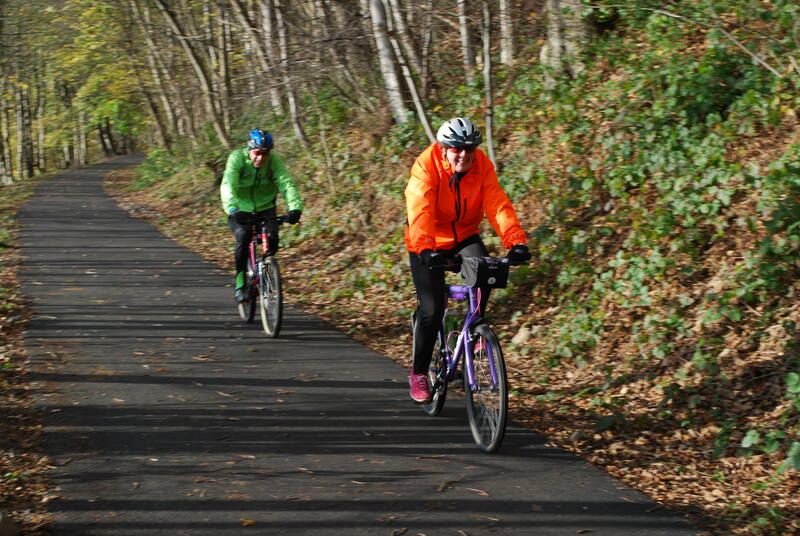 Linking Peebles and Innerleithen, this is a very high quality path along the valley with fine views of the Scottish lowlands and the chance to visit two lovely Scottish towns. It is part of the signed long-distance route the Scottish C2C. Map here. 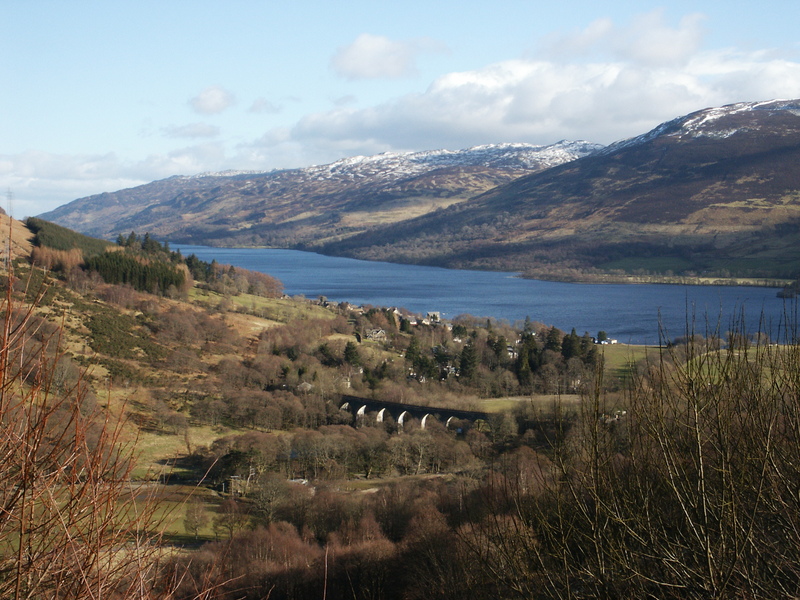 From the tourist staging post of Callander you head north past Loch Lubnaig then climb through spectacular Glen Ogle on an old rail line high above the valley before a steep descent to the dramatic waterfalls and old clan burial ground at Killin. Map here. An easy ride through Rothiemurchus Forest gives way to a wilderness track to the lovely Loch Einich. 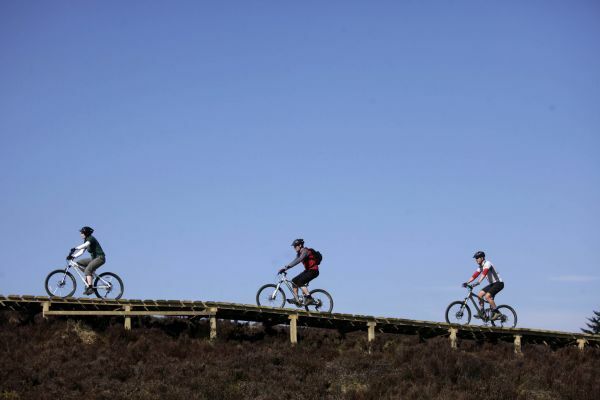 There are also many bike trails and other organised activities that take place at the nearby Rothiemurchus Estate. Here’s a video of everything that goes on at the Rothiemurchus estate. 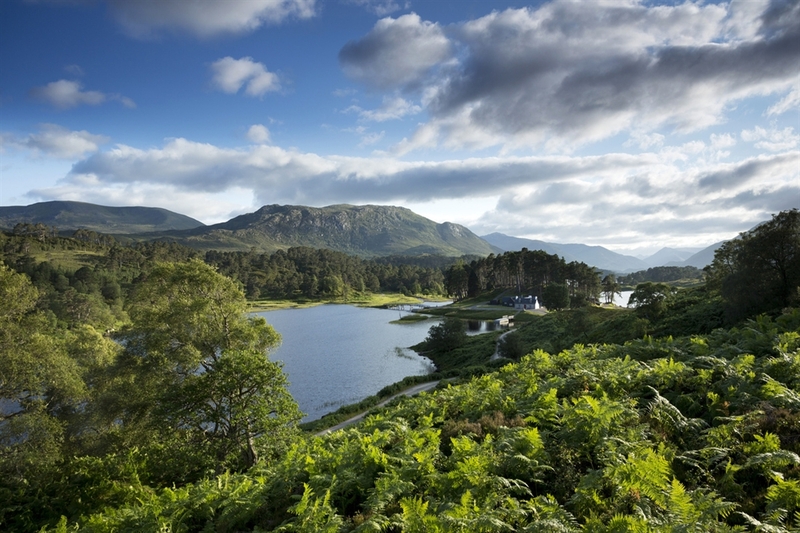 In the remote north-west of Scotland is this round reservoir route in truly spectacular Highland scenery. Map here.